Technology played important part in education and academia. Gone are the days that you need to go to physical schools and centers for learning. Teachers and students can use latest technology in order to get tasks done anywhere. For example, students can find sheer number of paid and free online courses created by qualified teachers and learn stuff from home. Google Chrome being the popular browser offers countless extensions for general audience. There are also huge amounts of extensions specially designed for teacher and students. Following are the top 5 extensions for teacher and students we recommend to try out. Whether you are a student or teacher writing skills is one of the most important parts of education. Students have to write essays, letters, research papers and similar material. It takes time to proofread a piece of content and sometimes a human eye can miss a few errors. It can ultimately damage the academic performance of a student. This is the reason why Grammarly is such a widely used extension. Students and even teachers can use it correct their errors and write error free content. 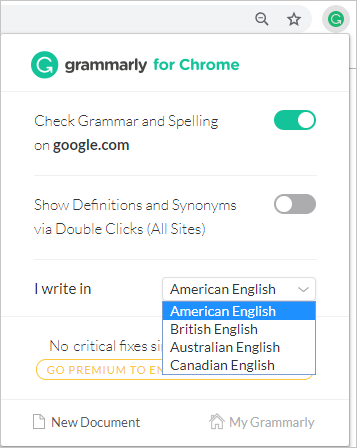 Grammarly is quite easy to use. It can pinpoint your grammatical and spelling mistakes on sites like Facebook, Twitter and Gmail. The extension will underline the mistakes in red, similar to checking errors in Microsoft Word document. Pointing your mouse on them will provide you with the correction option. If you want to check your essay, just click on the extension and then click on a new document. Once on that webpage, copy paste your text and provide the required details. Grammarly will point spelling and grammar mistakes out and you can simply correct them yourself. Explanations and tutorials through texts or audio are sometimes not the most efficient way to convey your thoughts. Nowadays,instructional videos are major source of information more than text content. These videos can provide students with a practical approach by providing an experience of classroom environment in a remote way. 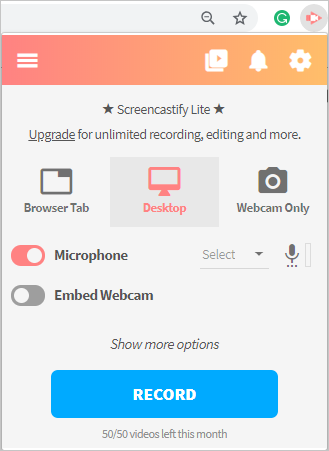 Screencastify extension for Chrome allows you to record your Chrome’s screen and share it with others. Teachers can use this extension when they have to demonstrate or give instructions. They can easily resolve student’s query in much better way. You can also use webcam and an on-screen pen simultaneously to make better instructional videos. Ever encountered a helpful article or video but you do not remember the webpage? Well, Pocket is an extension that solves such problems for you. Students and teachers need to go through different information regularly. Saving such information can help the students to excel academically. Pocket is quite a simple app and you can save favorite links to create a list. Just download the extension, sign up using your email account and you’re good to go. Simply click on the extension icon and save the article link when you are on the webpage. You can also right click on the extension icon and click ‘Save to pocket’. Anytime access the entire list of saved links by right clicking the extension icon and navigating to ‘Open your pocket list’. 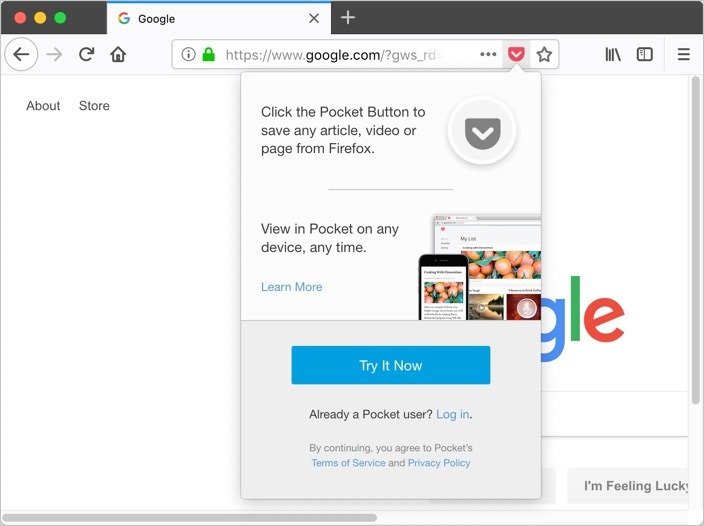 Note, Firefox Quantum browser integrates Pocket by default. In case if you use Firefox, click on the icon on the address bar to save your links to Pocket. You can seamlessly access these links on Chrome using the same Pocket account. Related: Google Chrome extensions for improving productivity. Every student and teacher is aware that citations and bibliography is an important part of academia. It is a good practice to write research papers with citations from credible sources. However, Citing a source can be difficult at times especially for the students. EasyBib is the largest and most efficient citation machine in the world and their extension for Chrome is equally good. The extension is fairly easy to use and quick in performance. Just install the extension, click on its icon and click on ‘Cite in EasyBib’. A new window will open and you can add details of the source in it. 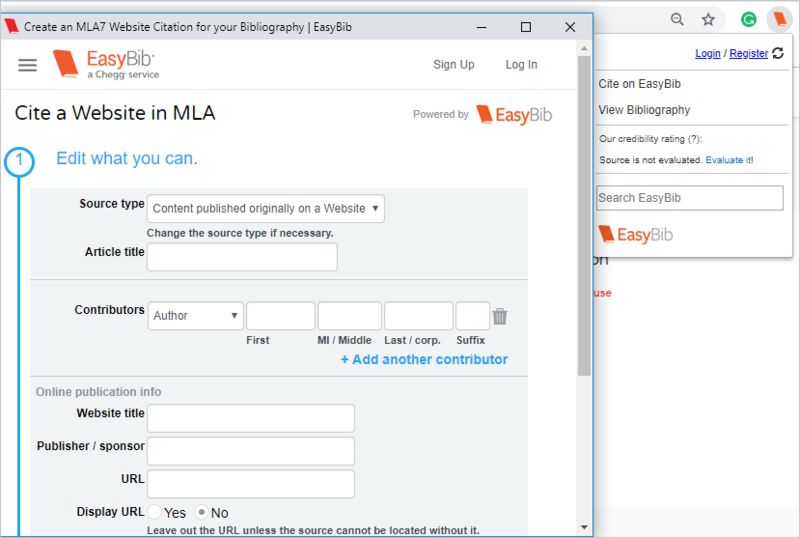 Finally, click on ‘Create Citation’ and EasyBib will generate the citation for you. All the common citation styles are available and it is up to your choice to choose the best style. Related: Google Chrome extensions for password management. The best way to teach children is reading them passages and letting them repeat it. This is an orthodox method that teachers still use commonly. It helps students to grasp words more properly and improve drastically. Read&Write use this method; it provides a toolbar having multiple options to assist teachers. The extension works on Google docs, PDF files and all webpages. You can highlight a certain sentence or phrase to hear through the speaker. From student’s perspective, they need to repeat that phrase, ultimately improving his or her vocal skills. 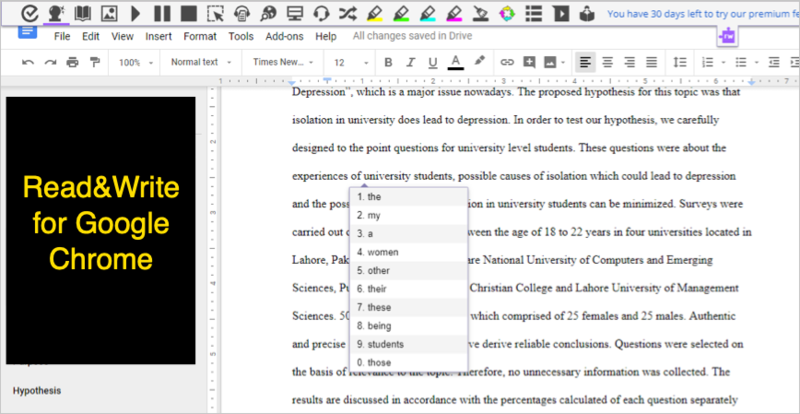 In addition, the extension offers Word prediction, text highlighting and proofreading features from the toolbar. Teachers can students can make use of the Chrome extensions to improve their skills. It will also help in learning stuff in interesting way instead of traditional methods. Note that most of the extensions offer limited free features or offer full features for limited time. You can try out them and upgrade when you like the features.